Preservation of food diversity is vital to achieve the Zero Hunger Goal by 2030. This means that we should end our over-reliance on a few market-friendly crops like rice, wheat and maize. “For centuries people in Asia and the Pacific have grown and consumed a wide variety of nutritious foods. Unfortunately, more recent generations have slowly but surely changed their diets and have moved away from many of these traditional foods,” says a 2018 report, Future Smart Food, published by the Food and Agriculture Organization (FAO). By 2050, agricultural production must increase by 50 per cent globally to meet food demand. This is cause for concern as an increased production of only traditional staple crops is unlikely to meet this demand, says the report. It is time we go back to our traditional wisdom, which encourages food that is environment-friendly, rich in nutrition and also locally available. The FAO calls such food Future Smart Food (FSF) such as pulses, tubers like sweet potato and millets. In Madhya Pradesh, the Baigas conserve agricultural diversity by practising an ancient cultivation method, called bewar. Often erroneously referred to as slash and burn, it is a type of shifting cultivation. 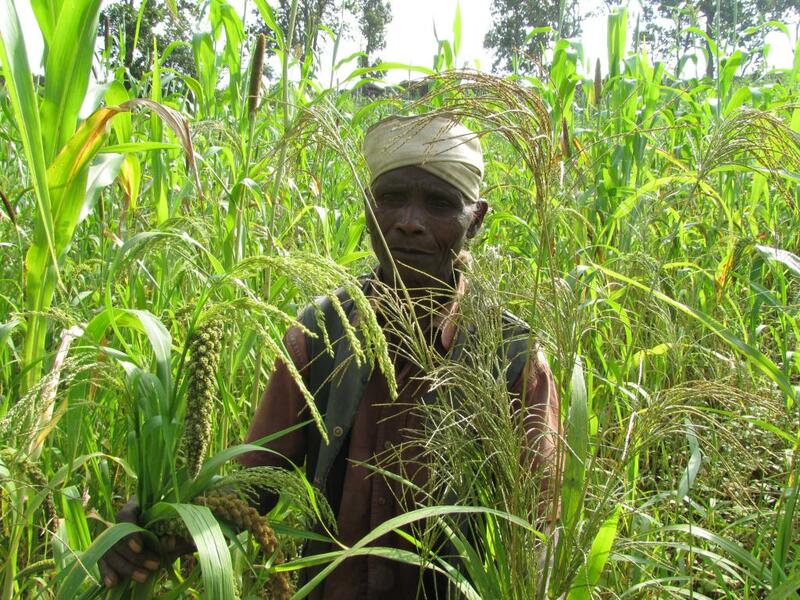 Traditionally, bewar plots support a wide variety of crops (mostly different types of millets and legumes). But in recent years, the tribe has turned to bewar monoculture like growing only pigeon pea (arhar) for cash, spelling doom for food diversity. Why is tradition being forgotten by a tribe that reveres the mother Earth? Many agriculture experts and scientists scoff at bewar on the basis that it causes pollution and deforestation. But in reality, pollution caused by bewar is overestimated since there are dense forests around these plots and only a small patch of land is cleared. Comparing bewar with crop burning in Punjab and Haryana is thus bizarre. The Baigas take a lot of care and ensure that the forest is not burnt in the process of land clearance. At present, no survey has been done to find the exact number of bewar plots. This should be carried out to preserve an age-old custom. The Baigas also collect a variety of uncultivated wild foods from the forest, especially during the monsoon. This includes leafy greens like Brahmrakas and Niraboda and a wide array of mushrooms like Putpuda, which is as tasty as chicken. Unfortunately, when I visited Dumar Tola village in Madhya Pradesh’s Anuppur district, the younger generation failed to recognise many traditional foods relished by the Baigas for centuries. This is not a good sign if we wish to end global hunger as preservation of food diversity can help us achieve the Sustainable Development Goal number 2. In Dindori district's Silpidi village, Baigas are losing many of their traditional foods due to the deforestation and thinning forest cover. Many are up against the state forest department as they feel that protecting forests is the only way to ensure the supply of wild uncultivated forest foods. Even as organic farming, zero budget natural farming and permaculture are catching up across communities, India must not forget ancient practices like bewar which respects the forest ecosystem.